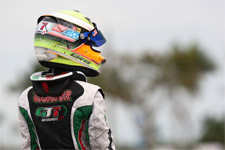 After taking the Rotax Micro Max ranks by storm, GT7 Motorsports driver Dylan Tavella made a splash during his Mini Max debut. Taking on the Rotax Challenge of the Americas opening round at the Musselman Honda Circuit in Tucson, Arizona, Tavella would leave victorious during his first event in the Mini Max category as well as his first visit to the ultra-fast Musselman track. 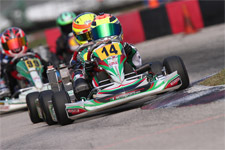 In his first ever time sitting in or racing the challenging Mini Max, Tavella showcased a strong drive and his natural talent. 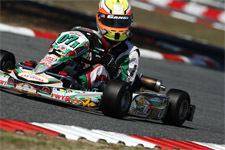 Enduring a problem in Saturday's qualifying, the young gun came back in wheel-to-wheel action in the prefinal. Moving into the top-ten, the Tony Kart pilot was able to put it on the line for the day's final. Slicing and dicing his way towards the front of the pack, Tavella was able to fight for a podium position. 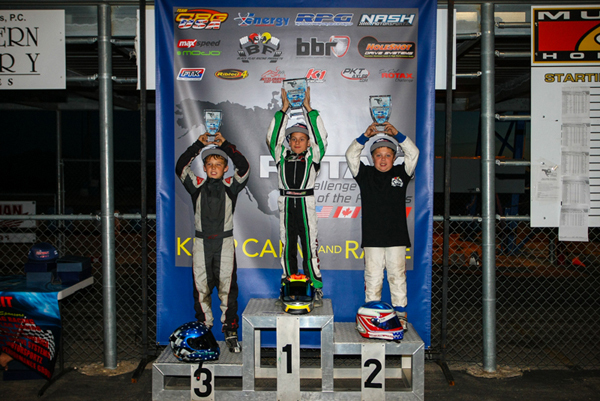 Swapping the second position on the final circuit, Tavella was finally able to make a pass stick and came home with a podium result in his Mini Max debut. Sunday saw Tavella off to a much better start, as the rising talent was able to clock the third quickest lap in the morning qualifying session. 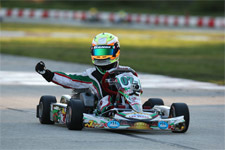 With an inside row two starting position for the prefinal, the 2013 Rotax Micro & Mini Invitational champion was able to capitalize on his good qualifying result to take the prefinal win. Running against the largest Mini Max field in Rotax Challenge of the Americas history, Tavella managed to top off his debut weekend with a huge win in Tucson. Coupling up with the leader for the majority of the race, Tavella made a bold last lap pass to take his first victory in the Mini Max ranks. Dylan Tavella would like to extend a special thank you his tuner Charlie Swayne, GT7 Motorsports, the Beck Family for all the custom parts, as well as everyone at the Rotax Challenge of the Americas and the Musselman Honda Circuit. Dylan would also like to welcome his newest sponsor, K1 RaceGear as Dylan will be sporting their newest suit in 2014. 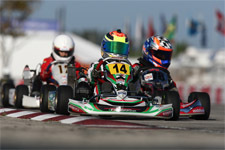 Up next for Tavella will be back in sunny Florida for the second stop of the Formula Kart Productions Florida Winter. 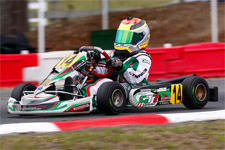 On track during the Formula Kart weekend in the TaG Cadet category, the GT7/Tony Kart pilot will then return to Rotax Challenge of the Americas action February 21-23 at the Phoenix Kart Racing Association in Phoenix, Arizona.